Contemporary far-right activists in Europe are often portrayed as anti-European. Given that “Bruxelles” is one of their chief enemies, such a portrayal might seem legitimate. The far-right critique of the European Union, however, ought not to be read as a simple rejection of Europe. Numerous far-right groups represent themselves as Europe’s defenders, faithful “believers” and “practitioners” of the “true” – white, Christian – Europe, and consider the EU to be their Europe’s enemy. Based on ethnographic fieldwork among far-right activists in Italy, Poland, and Hungary, Pasieka examines how far-right actors conceptualize regional and national sovereignty vis-à-vis a broader European context; how they perceive individual, civic, and social rights; and how they relate those to the widely debated issues of migration and multicultural diversity. Her multi-sited ethnography sheds much needed light on the challenges far-right movements and parties address, and the reasons why they are increasingly compelling to many. Agnieszka Pasieka holds an M.A. in sociology (Jagiellonian University, Kraków) and a Ph.D. in social anthropology (Martin Luther University, Halle). Her first monograph, "Hierarchy and Pluralism: Living Religious Difference in Catholic Poland" (Palgrave 2015), discussed the situation of religious and ethnic minorities in the context of church-state relations in Poland. 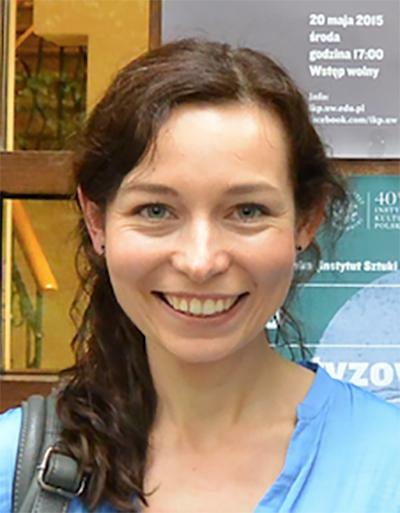 She was a fellow at the Max Planck Institute for Social Anthropology, Halle (2007-11); the Institute for Human Sciences, Vienna (2011-12); the Polish Academy of Sciences (2012-15); and a Marie Skłodowska-Curie Research Fellow at the University of Vienna (2015-18). Currently she is Elise Richter Research Fellow at the Department of Social and Cultural Anthropology, University of Vienna, where she carries out a research project entitled "Living right: an anthropological study of far-right activism."